The V&A Waterfront has it all: amazing shopping, a world-class setting, with ocean and mountain views – and of course, some fine restaurants too… but what is there to keep visitors entertained beyond the shopping and food feasts? 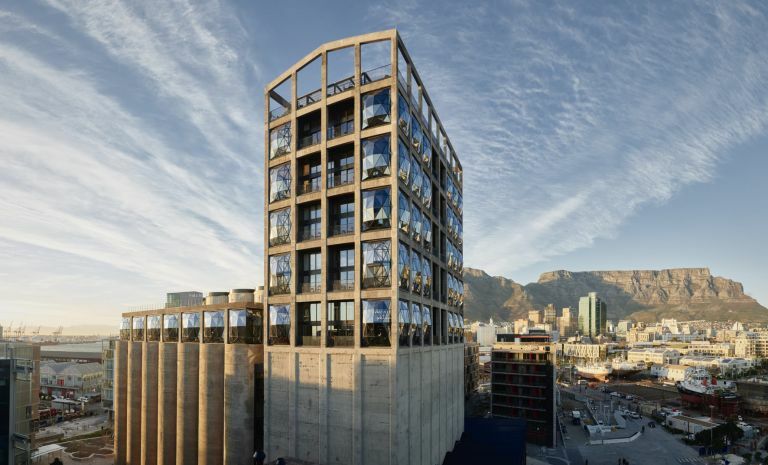 There’s no doubting that the Zeitz Museum of Contemporary Art Africa (or MOCAA) – an impressive architectural marvel and the world’s largest museum dedicated specifically to African contemporary art – has, since its opening in September 2017, become one of Cape Town’s most widely visited and talked about places. And it’s really no surprise, as, in the centre of Cape Town’s Silo District, guests can enjoy visiting a marvellous and fascinating museum. It features over a hundred galleries (spread across nine different levels) and is equipped with the most amazing array of art you’ll find anywhere. While you’re there, don’t forget to visit the museum shop for a take-home gift! Note: Tickets cost R180 for adults, but the museum is free to children under 18. Address: Zeitz MOCAA, V&A Waterfront, Silo District, Waterfront, Cape Town, Western Cape, South Africa. Another Cape Town gem known and loved across the globe, the Two Oceans Aquarium is ideally situated a stone’s throw away from the V&A Waterfront proper. It is a long-standing favourite, particularly loved for its penguin experience, predator exhibit, cool Clown Fish (aka Nemo) tank, diving experience, kelp forest and so much more! Here, the fish, penguins and sharks are all just a glass tank or sealed enclosure away from you, making for a lifelike and incredible experience for both young and old! The aquarium’s merchandise shop is another big hit among locals and tourists, and offers some amazing gifts and aquarium-themed goodies alike. Address: Two Oceans Aquarium, Dock Road, V & A Waterfront, Cape Town, Western Cape, South Africa. Ah, the Silo District… what’s not to love about it? Not only is it home to two of the best hotels in the city and one of the world’s best museums now, in The Silo Hotel, Radisson RED and Zeitz MOCAA respectively – but it also offers travellers great foodie spots in Lindt Chocolate Studio, The Yard, Si! Cantina Sociale, Sushibox and Woolworths’ Now Now Cafe to name but a few. And that’s before you even take The Silo Hotel or Radisson Red’s own cafes/restaurants, bars and accommodation offerings into account. Dotted around the District, there are also top-class designer stores and galleries, including Guild and Opus. If you’re short on things to do at the V&A Waterfront, then you clearly haven’t visited (or stayed in) the Silo District yet! Address: Silo District, Cape Town, Western Cape, South Africa. 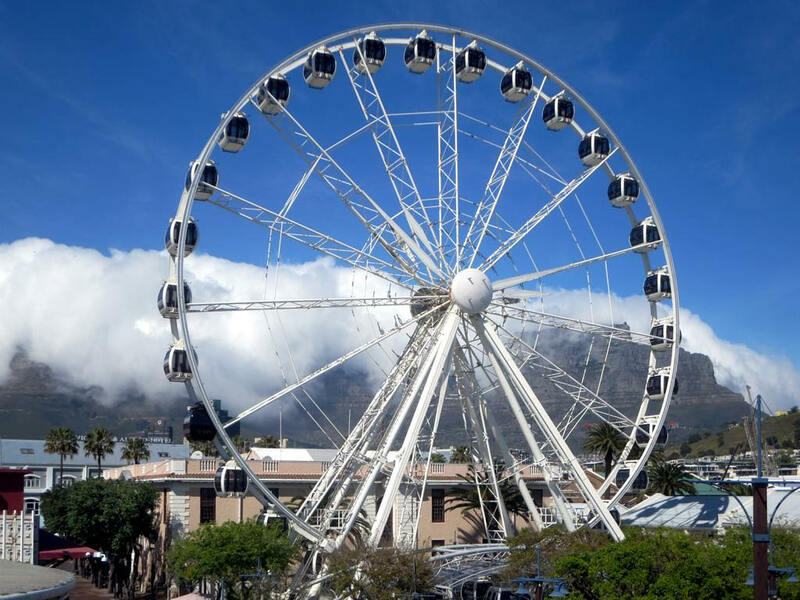 Whether you’re looking to spend a fun hour with the whole family ‘high in the sky’, or to catch a romantic sunset with the one you love – the Cape Wheel makes for a great experience for one and all! It offers 360-degree panoramic views of Cape Town from the vibrant V&A Waterfront precinct and because it’s just outside a main V&A Waterfront entrance, surrounded by outer shops and eateries, it is perfectly positioned too. Ticket prices are R60 for children, R130 for adults and R900 for VIP experiences. Address: Cape Wheel, V&A Waterfront, Dock Road, Cape Town, Western Cape, South Africa. Since its opening in late 2017, this sensational, stylish addition to the V&A Waterfront restaurant scene has been making a real splash in the local restaurant scene. At Firefish, visitors can enjoy mouth-watering, fresh seafood, sushi, salads or even vegetarian dishes, all while soaking up the sights and sounds of the nearby harbour and of course, Table Mountain in the distance too. It’s definitely one of, if not the best, V&A Waterfront restaurants. Address: Firefish Restaurant, Shop 154, Victoria Wharf, V&A Waterfront, Cape Town, Western Cape, South Africa. This wondrous toy store – thought up by William Hamley in 1760 and brought across to South Africa from the UK – has enchanted children for many long years… And now it can help to make the dreams of children (and adults) in Cape Town come true too! It offers all kinds of toys and games imaginable – everything from gorgeous teddies to amazing LEGO creations and large kids’ cars! It’s not just a slogan of theirs… this really is the finest toy store in the world – and now, you can find it inside the V&A Waterfront! Address: Hamleys, Dock Road, V & A Waterfront, Cape Town, Western Cape, South Africa. This interactive and engaging museum, found across the road from the V&A Waterfront, ensures a great experience for rugby fans and non-rugby followers alike. The museum covers the history of rugby, covering all the rugby-playing nations, though it naturally has a big focus on South African rugby, the Apartheid Era – and of course, the famous South African 1995 World Cup victory. Visitors can enjoy listening to insightful audio, marvelling at lifelike rugby statues of famous players or even trying some challenging rugby (but fun) trials. Afterwards, stop by the store for some awesome rugby kits, balls or different gifts. Address: Springbok Experience Rugby Museum, Portswood Road, V & A Waterfront, Cape Town, Western Cape, South Africa. City Sightseeing is one of the best guided, curated travel experiences locals and visitors can enjoy across the Mother City. 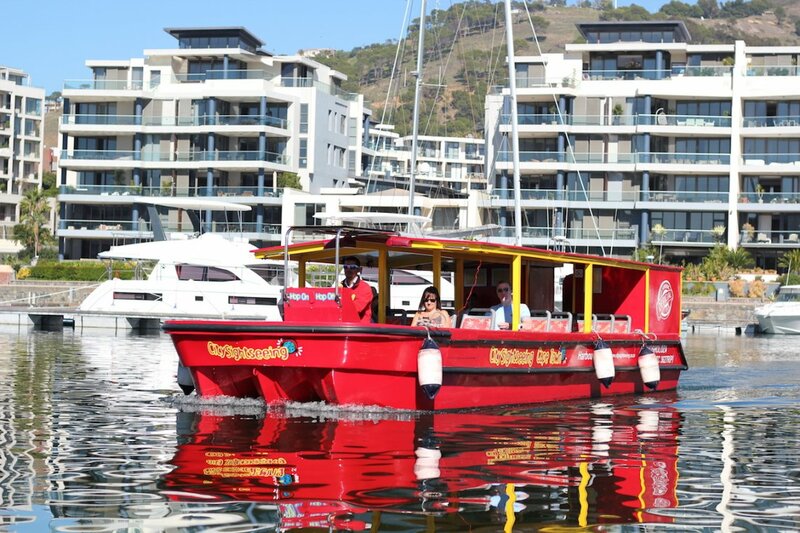 And while the famous red buses frequent the V&A Waterfront, bringing travellers closer to all of the tour company’s different routes – the Seal & Harbour Cruise is definitely one of the V&A Waterfront’s main City Sightseeing attractions. When you hop on the harbour cruise, you can enjoy a pleasant, 25-minute-long ride around the harbour. Wave at the seals (who lazily dangle a flipper out the water), marvel at the surrounding city sights or simply enjoy listen to the excellent audio commentary provided by City Sightseeing and available in a variety of different languages. Address: City Sightseeing, Dock Road, V&A Waterfront, V&A Waterfront Ticket Office, Cape Town, Western Cape, South Africa. Open seven days a week, this ever-bustling, popular street food and artisan retail market is a delectable delight for V&A Waterfront visitors to indulge in. Shop for wonderful sweets, wraps, good coffee and a wide range of other foods, as well as some fresh produce and home gifts too. After a hard day’s exploring or shopping, pop into the V&A Food Market and enjoy all the best food (and goodies) available! Address: V&A Food Market, Dock Road, Victoria & Alfred Waterfront, Cape Town, Western Cape, South Africa. Located at the oh-so-elegant Cape Grace Hotel, Bascule Bar is the perfect spot to head for chic, after-work drinks, a catch up with friends or even for a casually professional meeting. Edging the V&A yacht marina, this suave spot offers over 400 types of whiskies (and many other drinks besides) for visitors to sip in style. Aside from the tipples, it also offers a great tapas-style menu, perfect for snacking and sharing. All and all, it’s a perfectly delightful place to head for a well-deserved drink! Address: Bascule Bar, West Quay Road, Victoria & Alfred Waterfront, Cape Town, Western Cape, South Africa. So, if you’re looking for something awesome in or near the V&A Waterfront, then check out these great activities, which cover everything from Cape Town’s hottest museum to fun harbour cruises! 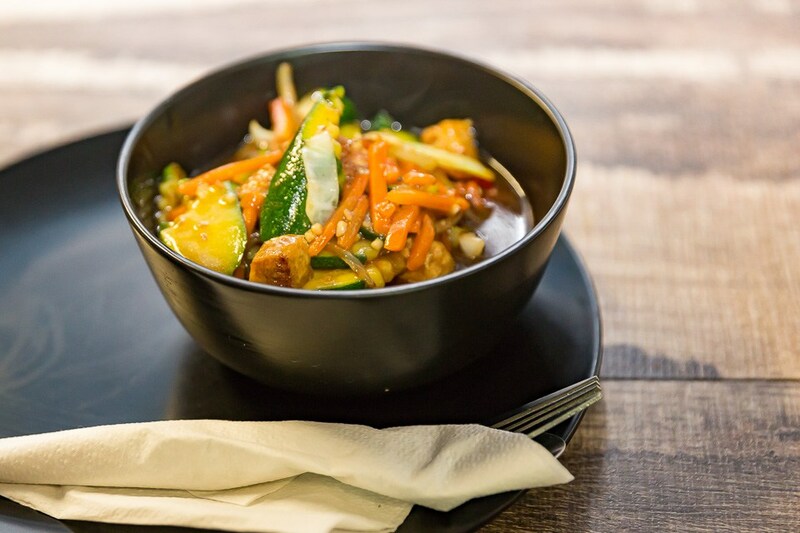 Previous Previous post: Top 10 Restaurants in Sea Point. Next Next post: Top 10 Activities near Durban Beachfront.